Where has the day gone! I sort of backed myself into a corner painting our pantry and linen closet and now I have to wait until tomorrow to finish cutting in too. Smoking Dan's sweet vanilla honeydew in a Triptow and drinking a Lavazza Latté https://i.imgur.com/FJVvygd.jpg What happened to lounging? 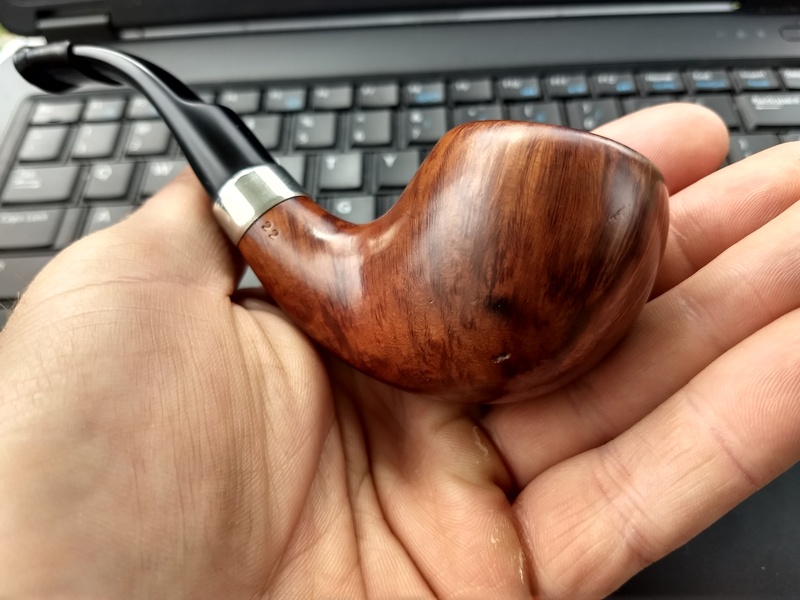 EMP in this Stanwell Brass Band 190. I'm going to miss this EMP when it's gone. About 2oz to go. 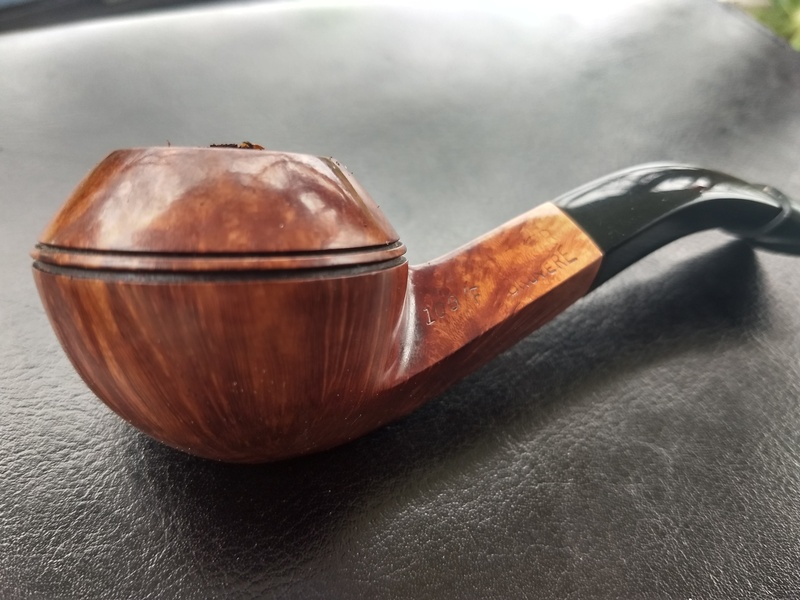 EMP in this older and very nice Parker bent bulldog. 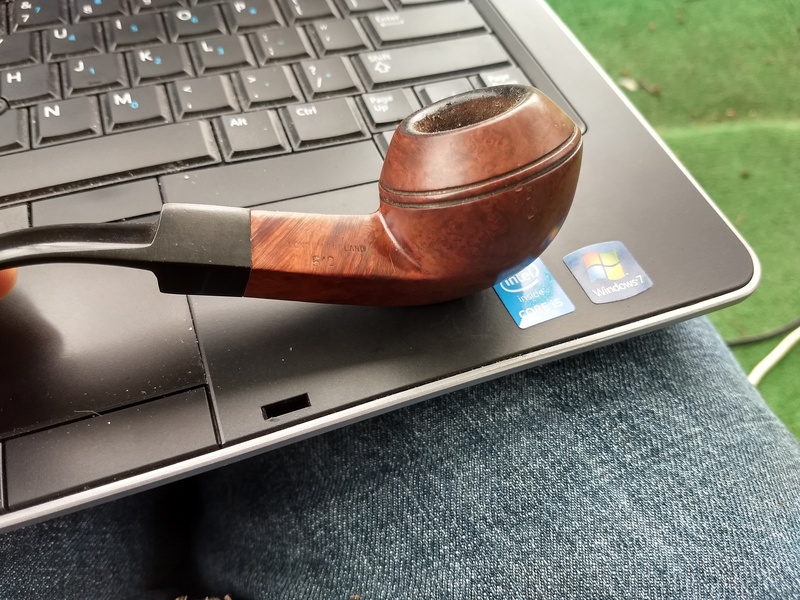 Macanudo in this beat up old GBD bent bulldog. 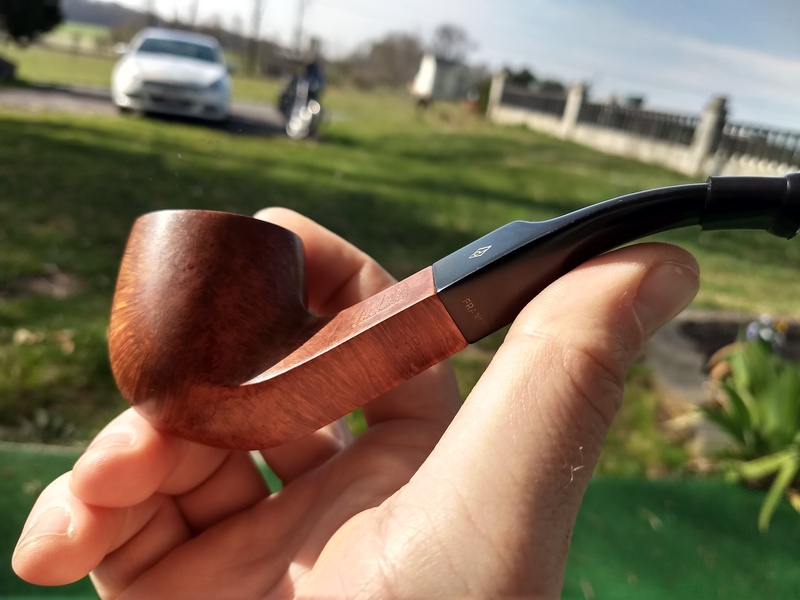 Great smoking pipe! 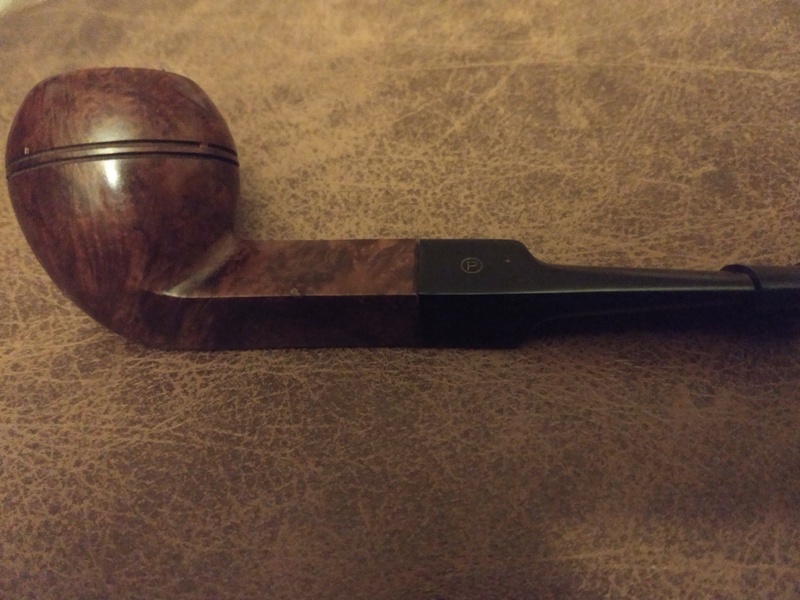 Burley & Black in one of my favorite pipes. EMP in this ugly Parker (new Parker, not the older/better ones). 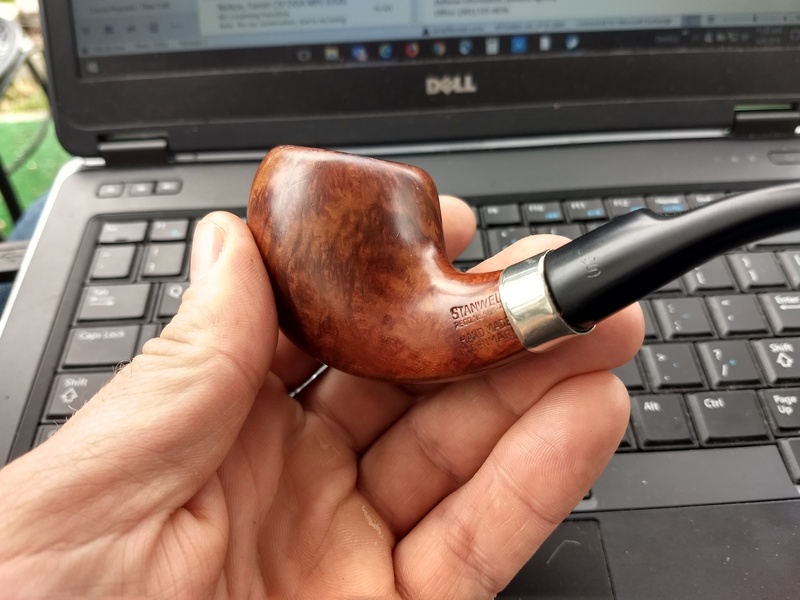 Still a decent pipe and takes latakia well. A gift from my son, when he was 8. Enjoying a beautiful day, working from home...outside, admiring the hills, horses (not mine) and motorcycle (mine). 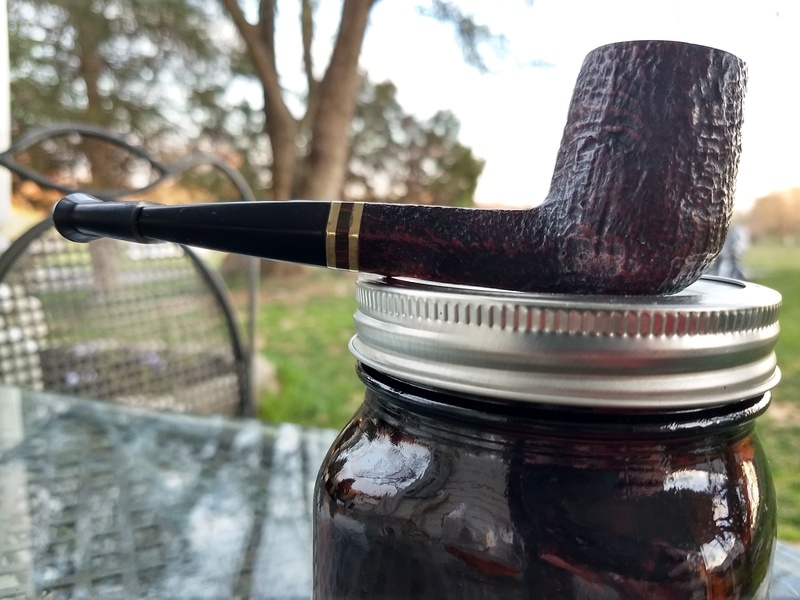 Dunhill Nightcap in this CB Perkins bulldog.